Pictured are students in Mrs. Clayton’s K4 class. What a surprise! Southland Academy K4 students love to have surprise guest readers. The most recent guest reader was their very own teacher's mother! 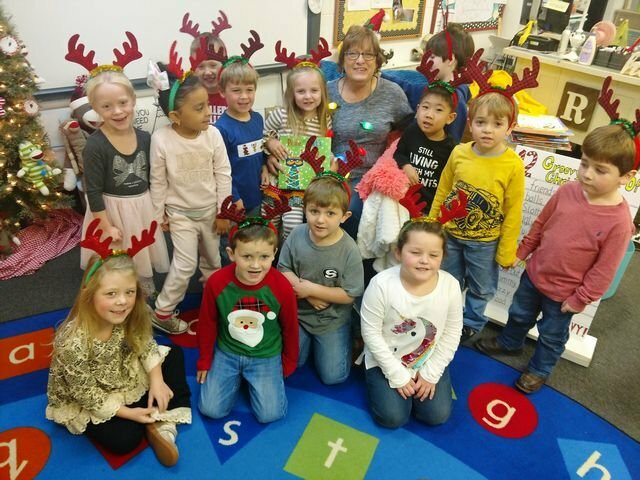 Mrs. Rena Clayton's mother, Rita Kassler, dropped by the classroom to read Pete the Cat Twelve Days of Christmas. The students were captivated by the book and that Mrs. Clayton's mother came to school. They have already invited her for another visit to read to them again.